lacivilian - Brian Enos's Forums... Maku mozo! Try to get your hands on a full size brass plug from Zev. I had to buy a magwell with the plug to get mine but it adds the most amount of weight possible in the backstrap. I would try shooters world major as well as AA7 in your case. 115s may be your friend as well. Is the diode what is not clean or you can’t get residue off the glass? I have one on the way. Willing to give it a shot. I have handled both 2.5 and 7.5 I did not like EITHER of them. The window size was too small for me. I don't care how wide it is if it is only 17mm in height compared to 25mm in a Romeo 3 or an RTS2. I ended up with a ROMEO 3 and could not be happier. Excited to see the new R3 Max model this summer. Not many people refer to STI as a high quality American made 2011. You can always practice movement from point A to B and try to get your time down from shot to shot. Not necessarily worried about the follow up shot or transitions with your non open gun. That will transfer back over instantaneously when you get back stateside. Work outs dedicated to explosive movement/grip strength. 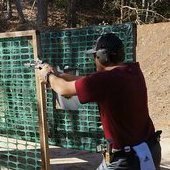 Dry fire even if it isn't your open gun. 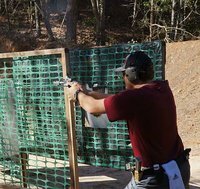 It won't take long for you to get back in the groove with the open gun when you get back despite what you may think. In America we don't like companies who skip out on quality. No.. he’s referring to the fpsp not being flush with the slide. Any of the cr speed inner belts are what you are referring to.